Prepare yourself to head 'far east'! The cultural expressions of Papua's renowned Asmat Tribe will be the highlight of Indonesia's most eastern island as the Asmat Cultural Festival is scheduled to take place at the Yos Sudarso Field, Asmat Regency in the Province of Papua on 19th to 23rd June 2018. The main feature of the festival is obviously the signature wood carving art of the Asmat. The Asmat are known to have the capability and artistic nature of carving wood into fascinating artworks directly without drawing any sketches first. To the Asmat, their woodcarvings are inextricably linked with the spirit world, and therefore, are not principally considered as aesthetic objects. 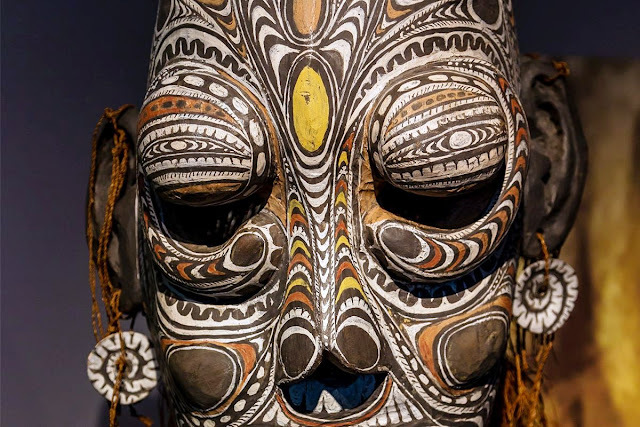 Much of the highly original art of the Asmat is symbolic of warfare, headhunting, and warrior-ancestor veneration. For centuries the Asmat, preoccupied with the necessity of appeasing ancestral spirits, produced a wealth of superbly designed shields, canoes, sculptured figures, and drums. Aside from wood carving exhibitions and auctions, the festival will also present hundreds of artisans and performers who will showcase their exceptional skills in weaving, boating, and various dances and traditional musical performances. At the closing of the festival, the fine artworks of the Asmat will then be displayed for open auction. The Festival has its origin in the 1980's when missionaries held drawing and carving competitions for school students. The response was overwhelming that the missionaries eventually raised it to artisan's level that attracted a lot of highly skillful carvers in the entire region. In the late 1990's, the Regent of Merauke at the time, R. Soekardjo (at the time Asmat was part of Merauke Regency) gave his full support to hold an annual cultural festival. When Asmat was established as its own Regency in 2004, the festival was moved from its initial location in Soska Building to Yos Sudarso Field that allowed more spectators to enjoy it. Located at the southern part of Papua facing the Arafuru Sea, Asmat Regency gained UNESCO recognition as a World Heritage site On February 2011. 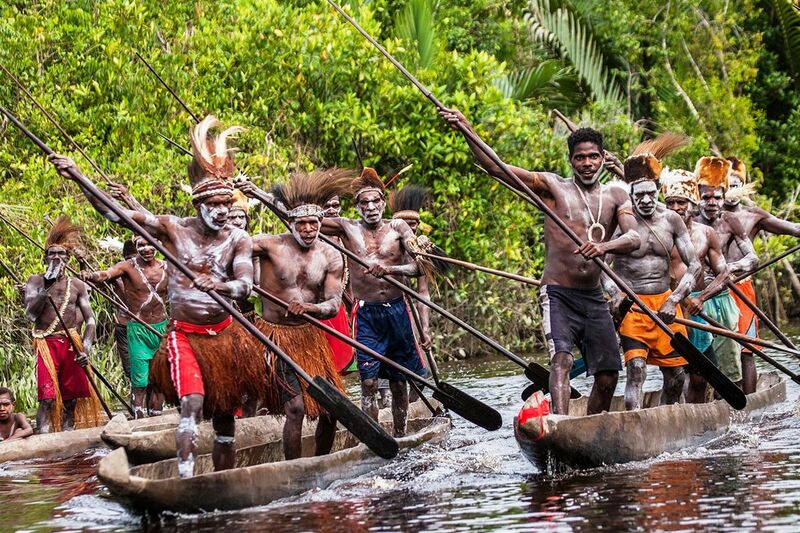 The Asmat region shot into world spotlight when in 1961 Michael Rockefeller, son of New York Governor Nelson Rockefeller disappeared here on his second expedition. On his first visit, Michael was so deeply impressed by the Asmat sculpture that he intended to bring these fascinating artworks and have them displayed at an exhibition in the United States.